On Wed. Nov. 14, reporter Morgan Kelly received a text message of an accident at Simcoe St. and Conlin Rd. just after she finished lunch. This is an intersection the majority of students and faculty have crossed. 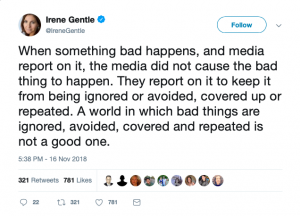 We were unaware of how bad the scene would be before getting there, by the time two of our reporters arrived there were four police cars and two ambulances. As a media outlet, we produce stories for multiple platforms, with multiple visuals. As students, we are learning on the job from our instructors who have proven their journalistic abilities in the field. As aspiring journalists, we understand it is increasingly important to be transparent to our audience because of fake news and the corresponding loss of trust in the media. One of our program instructors, Kenyon Wallace, writes for the The Toronto Star‘s Trust Project, a consortium of global news organizations collaborating to improve trust in journalism. The Chronicle has been building trust between the campus and community since 1974. 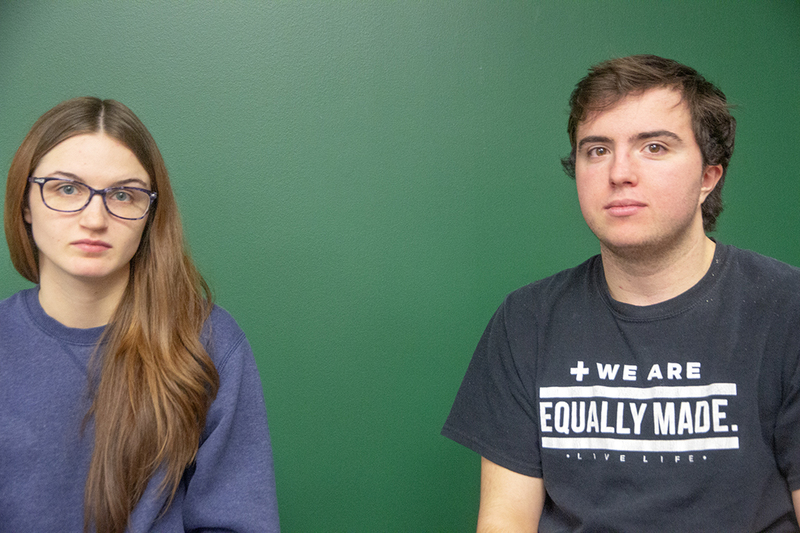 Students in the second year of the program have been covering campus as well as community news for more than forty years. This is the first year we have a working newsroom. Half of the journalism program is in the classroom while the other half works in the newsroom from 9 a.m. to 4 p.m.
As a media outlet connected to an educational institution, we are in a unique position. Not only are we members of the media but also of a campus community. The Nov. 14 accident that claimed the life of first-year UOIT student Rhyss Glenfield was tragic. We were one of the first news outlets to cover this story. That is because it happened here on our campus. On Nov. 14, we ran a video and a photo of the accident taken by two of our reporters, with approval by the Editor-in-Chief, Brian Legree. The images from the accident were difficult to process and presented a tough ethical predicament for The Chronicle, says Legree. The Chronicle had a similar decision to make: making readers aware of what happens in Durham Region is what we do, especially this close to home. We knew the images would be sensitive but the images also helped readers understand the severity of the accident. Journalists write the first page of history. Sometimes that history is graphic. Our job, as we have learned from our instructors, is to not let things get ignored, covered up or repeated. In recent light, The Star has been under a bombardment of insults for their coverage of the St. Michael’s College scandal. An editor for The Star tweeted a reply to the insults: journalists do not cause the issues we report on. Rhyss Glenfield’s accident was not an every day accident. No one wants an accident like this to happen again. “It was a little disturbing for me after I saw the blood, backpack and pieces of the car in the area,” said, Jasper Myers, a reporter for The Chronicle who took the video. The Chronicle prides itself on being fair, balanced and accurate when telling its stories. 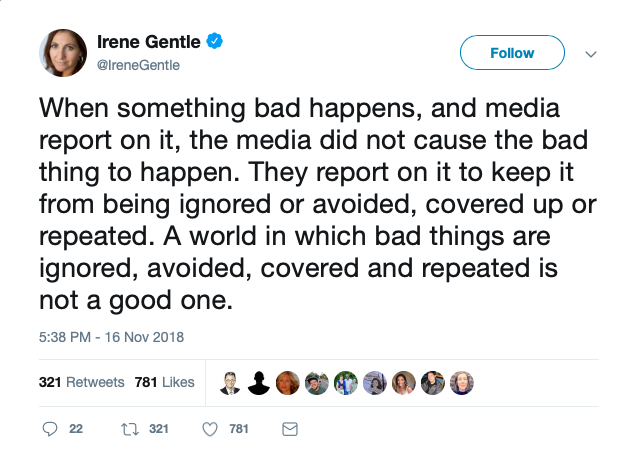 Our approach to this story was no different. 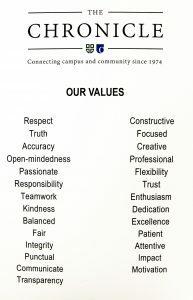 In the first few weeks of the semester, as a class we sat down and voted on what values we thought The Chronicle should embody. This is what guides our decisions in the newsroom. 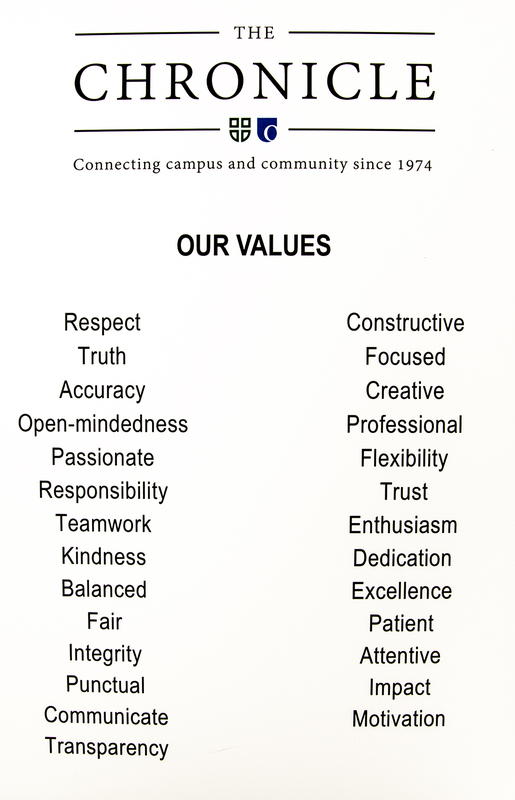 The values of The Chronicle, all student reporters follow, hangs on the wall in our newsroom. When it came to running the video Myers took and the pictures Kelly shot, we asked ourselves whether or not the coverage we would be releasing to the public was all of the things we pride our publication on. “Ultimately, we decided the images were medium-range, not graphic, with no faces, although they clearly showed a tragedy of significance had taken place. Media organizations also know that for societal change to take place – perhaps in this case around improving road conditions in high-accident intersections – the public needs to know in order for that change to happen,” says Legree. Since the accident, The Chronicle received a handful of emails and phone calls with complaints from readers. We understand the photo and video we released was strong. However, it was what the scene looked like at the time we covered the story. At the request of the victim’s family, we have since removed some images from the initial story. The Star‘s Trust Project reveals the behind-the-scenes of journalism so readers know what reporters do. We at The Chronicle are reimagining this project so our community knows what our reporters, who are also students, went through to cover this story. We are your campus publication. At The Chronicle we strive to get stories right. Our goal is to gain our readers’ trust and tell campus and community stories based on that trust. Journalism is about telling stories that don’t end but start new beginnings. Safer roads could be that beginning.